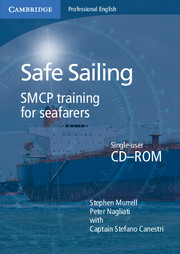 Safe Sailing prepares sailors for communicating safely at sea by providing thorough practice of the International Maritime Organisation's Standard Marine Communication Phrases (SMCP). This standardised set of English phrases is essential to overcoming language barriers at sea and avoiding misunderstandings which can cause accidents. Through a variety of interactive exercises, this CD-ROM gives seafarers the practice they need to use these phrases confidently and effectively. It covers areas such as Standard engine orders, Handing over the watch, Fire protection, and Cargo care. Features a variety of interactive exercises to give seafarers the practice they need to use the IMO SMCP confidently and effectively. Provides model audio of each phrase and enables users to record and play back their own voice, helping them to improve their spoken delivery. Enables users to monitor their own progress with regular, ready-made tests. Allows learners to focus on their particular needs by creating their own lessons. 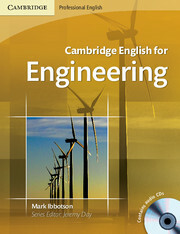 Includes definitions of key words in English, plus translations of these key words into Chinese, Greek, Italian, Russian and Spanish. Covers all the SMCP requirements of the GOC exam (General Operators Certificate), making it the ideal companion for those preparing for this qualification.